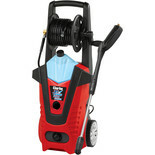 Pressure washers (also known as power washers) are ideal for quickly and efficiently cleaning cars and vans, and are also great for decking, driveways and patios – removing dirt with minimal effort. 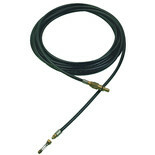 They are often much more effective than brushes or hosepipes, and get the job done much faster. 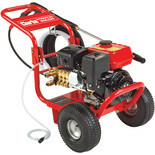 Machine Mart stocks the full range of pressure washers – from lightweight, portable models suitable for home use through to heavy duty jet washers suitable for commercial and agricultural use. 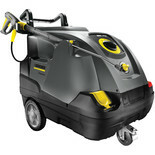 We supply both electric and petrol driven pressure washers. 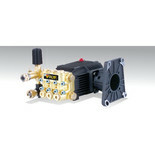 All the leading brands are available here: including Clarke pressure washers. As well as pressure washers and other cleaning equipment, Machine Mart supplies a full range of tools and equipment suitable for both DIY enthusiasts and professional tradesmen. 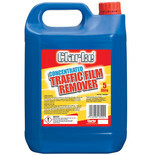 Tools from all the top brands are available on our site (e.g. Dewalt, Ryobi, Bosch and Clarke). You can buy online now, order by phone, or visit any of our superstores across the country.